5th Evergreen Supermarket, which I would really classify as a deluxe greengrocer, is a real resource to the neighborhood. 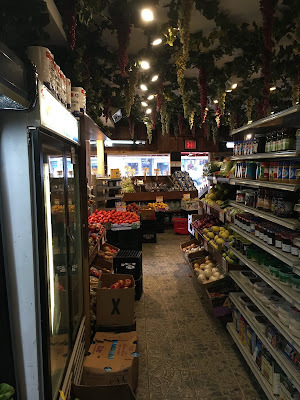 With a wide selection of really good and cheap fresh produce alongside an interesting selection of Middle Eastern specialty products, it might not offer something totally unique. But it's still a cool store. The majority of the store's produce is displayed outside, although the selection continues inside. I'm still not entirely sure how stores can display all this merchandise outside without people stealing every last piece of it. But I guess it works, because so many stores do it. The store's interior consists of two aisles. 5th Evergreen sells some grocery staples as well as specialty imported and organic products. The olive bar and bulk dry foods selection are reflective not only of the store's focus, but also the neighborhood's demographics. Supermarkets over on 3rd Ave tend to focus more on the non-ethnic foods. 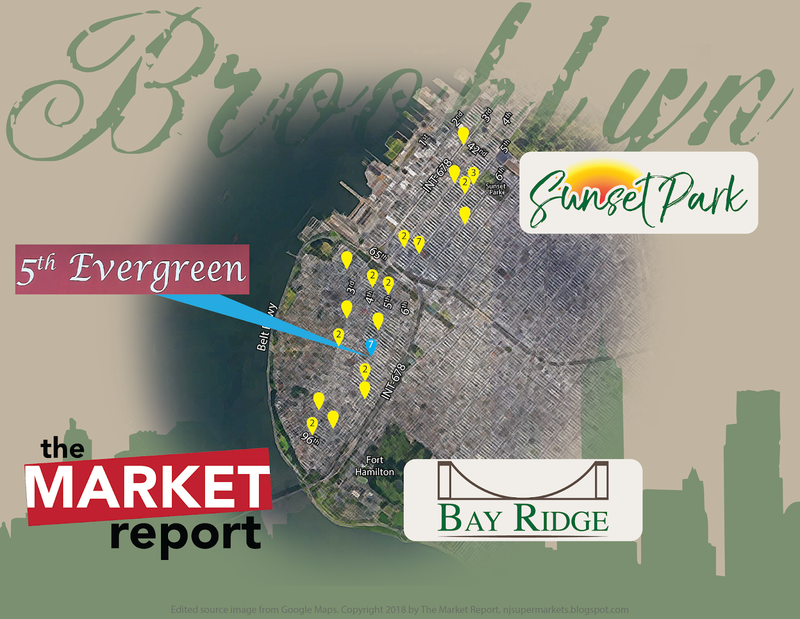 5th Evergreen is located at 7802 5th Ave.
Merry Christmas from The Market Report!